To install and validate a complex automated manufacturing line on a tight timeline. 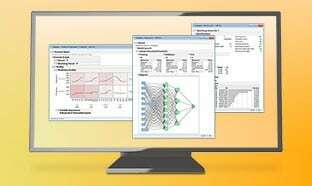 JMP statistical discovery software from SAS, featuring JMP Scripting Language. 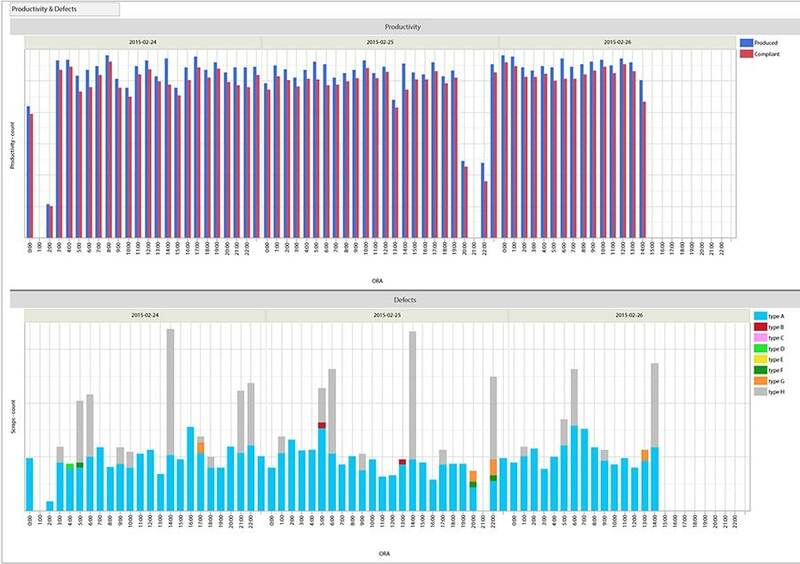 In just six weeks, JMP users at Fresenius developed a tool for monitoring a complex manufacturing line. Excellence is never an accident. It is always the result of high intention, sincere effort and intelligent execution; it represents the wise choice of many alternatives – choice, not chance, determines your destiny. Zambianchi is a Senior Filtering Material Specialist and Six Sigma Black Belt at Fresenius HemoCare, located in the northern Italian municipality of Mirandola. As you might expect, her work involves the extensive use of statistics, which she employs as a means of intelligent execution. But she engages with statistics in a specific manner. 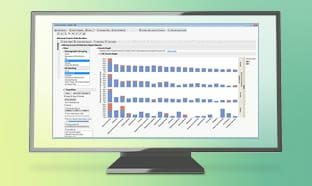 Inspired by theoretical physicist Ian Cox’s groundbreaking book Visual Six Sigma, Zambianchi takes charge of the decision making process by leveraging dynamic data visualization techniques. Turning directly to the data set for insight, she asks relevant questions and then makes wise choices based on her findings. 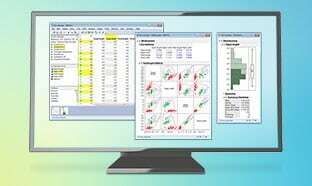 JMP® statistical discovery software is designed to point scientists toward those findings. Zambianchi and her Fresenius colleagues are frequently called on to create something entirely new. Very quickly. On a budget. Recently, they received an ambitious assignment: to help install and validate a new manufacturing process for filters used during leukocyte depletion, a critical step in blood transfusions. This brand new manufacturing model would incorporate new technologies. Her team’s task was to develop an interface to manage and connect the tremendous amount of information the new system would collect about the effectiveness and efficiency of its operations, pinpointing inefficiencies as the team worked for continuous improvement. 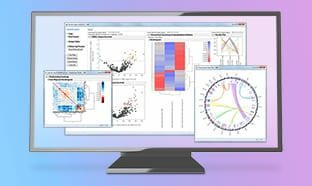 JMP Scripting Language (JSL) contributed to the success of the project, allowing the team to create a graphical interface for the process, with customized reports and graphs. JSL lets users write custom scripts to perform analyses and visualizations not available in the point-and-click JMP interface, or to automate a series of commands. “We weren’t interested in the complexity of the scripting in every technical detail. 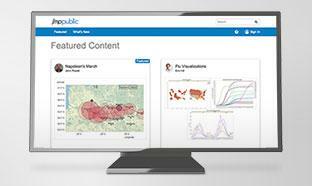 We wanted a simple, lean tool that would allow for highly interactive data analysis. That’s something that JMP does very, very well." 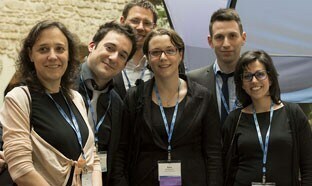 The Fresenius team (left to right): Laura Zambianchi, Alessandro Girotti, Sebastian Hoffmeister (STATCON), Sara Bergonzini, Luca Ferraresi and Emma Caiazzo. The Fresenius team (Sara Bergonzini, Emma Caiazzo, Luca Ferraresi, Alessandro Girotti and Zambianchi) comprises engineers and project managers with backgrounds in physics, informatics, material sciences, chemistry and mechanics. 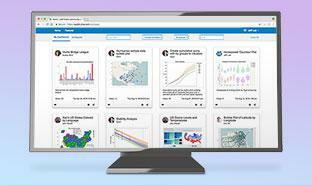 Though all team members had completed Six Sigma training, some had no previous experience with JMP software and its ability to link graphics and statistics to reveal trends, patterns and outliers in data. After two days of JMP training with STATCON software consultants, the team dedicated some time to project scoping and design input, followed by two more days in workshops that allowed them to practice using the software. STATCON’s Sebastian Hoffmeister helped specify requirements and proposed a basic structure for a custom script in JMP Scripting Language (JSL).  “This structure allowed the team to visualize all the relevant information about the production process just by plugging in the code, generating the required graphs and tables into the backbone code. The Fresenius team then set about the task at hand. Team members met weekly to align the various process phases, then dispersed to conduct research individually. “The key to our success was working simultaneously but independently,” says Zambianchi, a JMP user since 2011. Team members used JMP to animate their reports with graphs and tables relevant to their assigned sections. The software allowed them to collectively produce a highly customizable report separated into sections representing each stage of the production line. “The classical way of using statistics is to confirm an existing hypothesis,” Zambianchi says. “But when you’re in the shop, you’re looking for real-time answers to questions that arise each day. What you want is something that works as fast as possible, something that’s highly interactive and graphical. The team’s final product is called a “process supervisor.” It’s inexpensive, simple and flexible, and allows for a complete, real-time picture of what’s happening on the shop floor. It automates the analysis of all manufacturing steps, from component assembly to packaging, connecting to multiple data sources. That automation embeds not only the manufacturing phases but the quality inspections required for medical devices, and it allows the production line to operate with minimal operator oversight. Improved production-line efficiency and fewer breakdowns offer additional savings. And when line operators receive feedback on performance throughout the process, they’re able to provide proactive maintenance. Laura Zambianchi used JMP to create a streamlined, lean approach to examining productivity and defects. In every manufacturing process, Zambianchi explains, you have a physical flow of items – the components that are assembled in the various phases of the process. “When a component is traveling from station A to station B, all the process features, the Xs, and all the outcome features, the Ys, are traveling with it,” she says. Only through the proper process can the desired destination be reached. And to produce an efficient root-cause analysis, all this data must be joined, to create in real time what in Six Sigma jargon is called a transfer function. “JMP allowed us to analyze, in a very interactive and visual way, what had an impact, or didn’t, on that process,” Zambianchi says. 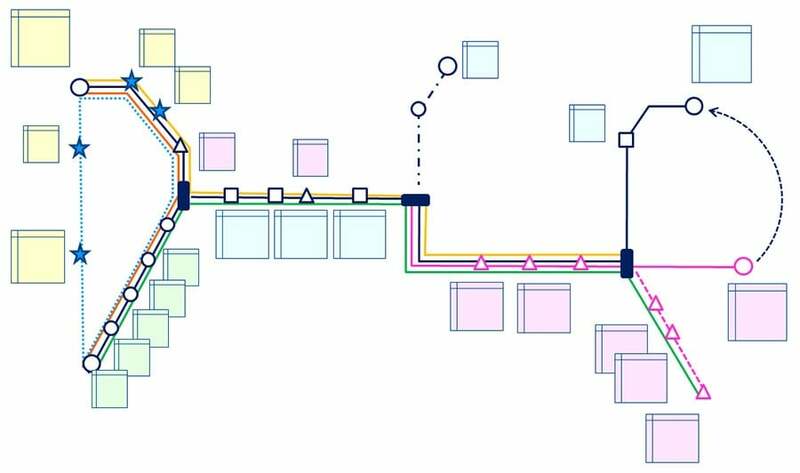 The Fresenius team uses a tube map to visualize the dynamic relationship between flow type and working phase. A custom script in JMP Scripting Language enabled them to design their database’s primary keys and processes simultaneously, thus avoiding the information loss typically associated with most complex processes. 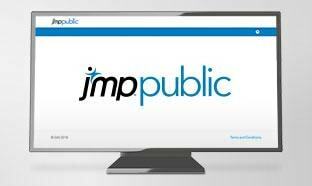 “JMP unlocks huge potential,” Zambianchi says, citing JSL and the ability to manage large volumes of data interactively as the key features employed in this project. JSL was particularly attractive, she says, in that it offered a debugger, which helps identify the point at which a script causes an error or fails. Zambianchi says the script they produced was used to reduce time to market, and is still used to improve process yield, conduct root-cause analysis, track material consumption, track production costs, perform preventive maintenance and more. True to Aristotle, the successful outcome was no accident. Excellence prevailed, a result of intention, effort, execution and wise choices – including the right software tool for the job. In six weeks, we went from scraps to the interface. JMP was the ideal tool. It’s the only Six Sigma tool that’s real-time and interactive.